On Birdhouse Tea Bar and Kitchen's 3-month birthday (woo! ), we popped in to chat all things pudding club, and what’s in store for the next instalment of the pudding-lover’s dream evening; pudding, booze and/or a great brew! Co-owner Rebecca English had been wanting to open Birdhouse Tea Bar and Kitchen for about ten years. 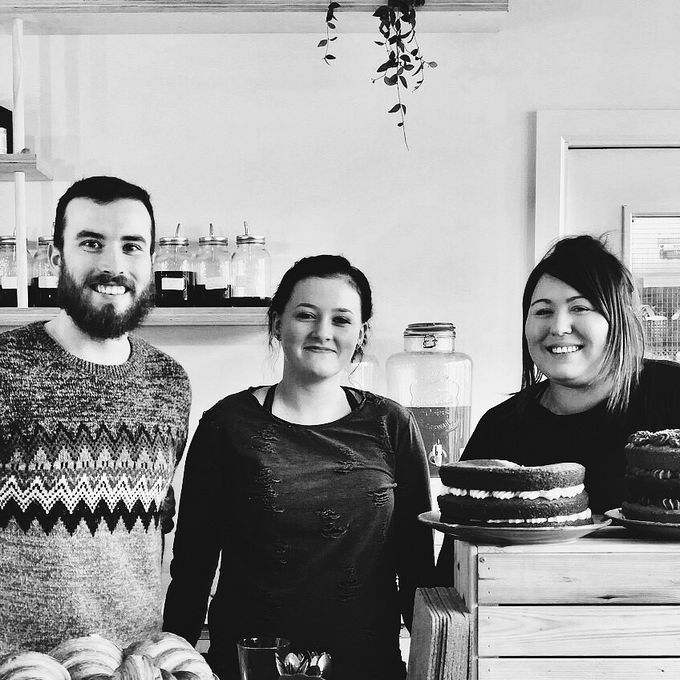 After studying tea and blending from home, the Birdhouse Tea Company as a tea brand was born five years ago, before she opened a tea shop in Nether Edge. “Even though I knew that tea was a big deal, loose tea - exciting tea, wasn’t really taking off. People were still drinking Yorkshire Tea, which was frustrating”, she said. Opening up shop in the city centre at a time when people are becoming ever more conscious of the use of plastic in products, Birdhouse couldn’t have been better placed for meeting these plastic-free needs. Another trend that Birdhouse has been setting since it’s opening in January this year, has been the hugely popular monthly Pudding Club. With a Harry Potter-themed night as well as one entirely devoted to chocolate under it’s belt, Birdhouse is gearing up for it’s next night, and this time it’s Star Wars-themed. Originally, the menu was published so eager pudding fans could get excited for their themed sweet treats. This time around it’s all being kept a secret, so there’s even more of an element of surprise. On 4 May, lucky diners will also have the opportunity to tailor their pudding experience to their dietary needs. With vegan and gluten-free alternatives available, Birdhouse is happy to cater to your individual needs. The next instalment couldn’t have happened on any other day really. For Star Wars fans, May 4th is a key date in the calendar, and a perfect one for Birdhouse to make special. Without getting too lost in the theme, plans to go full-on with the Star Wars theme are well in motion. “We’re trying to avoid making it look or feel like a kids’ birthday party – no Stormtrooper photos stuck on top of a bun. It’s all about the taste”, said Keir, Marketing and Events Coordinator. Bringing in the chocolate element as well as a selection of cakes and puddings, diners will also be able to pair especially-created themed cocktails with their puds. With choices including Yoda Soda, Darth Maul Latte, Dark Side Espresso Martini and Stormtrooper White Russian, the Star Wars force is strong in this one. With Friday 4 May’s evening fully-booked (the event sold out before the theme was even revealed), plans for June’s instalment are well underway. All Rebecca can reveal is that June = Juniper, and we all know you can’t make gin without Juniper! So if you missed out on next month’s pudding club, you’ve got plenty of time to get excited for June, or you can just pop in to Birdhouse to enjoy some great pudding anytime. Serving Sheffield Pie-eyed pies from 5pm onwards and offering a choice of cheeseboards from Porter Brook Deli, there are still lots of things to enjoy. “Evenings are all about sharing, showcasing other businesses, or even for enjoying on your own - where else in Sheffield can you go and do some work, drink some wine, have a coffee and a cake, and be somewhere really cosy, and not feel stupid?” Birdhouse is your answer. Not forgetting that all cakes and puddings are served into and throughout the evening, Birdhouse wants to offer people a place to come for a cake past 5 o’clock without that pressure of being in a bar with loud music. With award-winning tea and a fabulous selection of cakes, puddings, pies, cocktails and coffee, Birdhouse really has everything going on. As the summer months creep in, there are also plans for outdoor seating, which will make the most of the peaceful courtyard that surrounds the two-storey café. A place where everybody is welcome, whether for pudding club or just a space to relax and enjoy a glass of wine and a brownie, Birdhouse Tea Bar and Kitchen is the place to go. To find out more about the Birdhouse Tea Company, head to its website. To enquire about future pudding clubs, email bookings@birdhouseteacompany.co.uk.